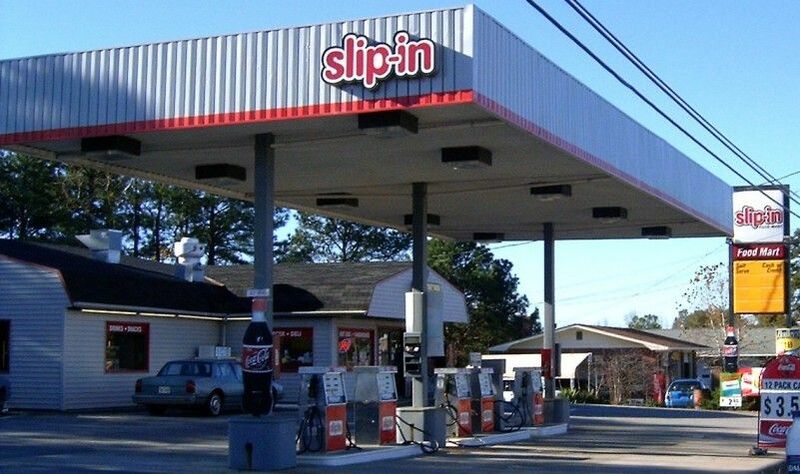 Slip-In, usually paired with a major oil company. This C-store in South Hill, VA was offering its own gas. Taken by Robert Droz in Nov. 2003 on his US 1 trip.